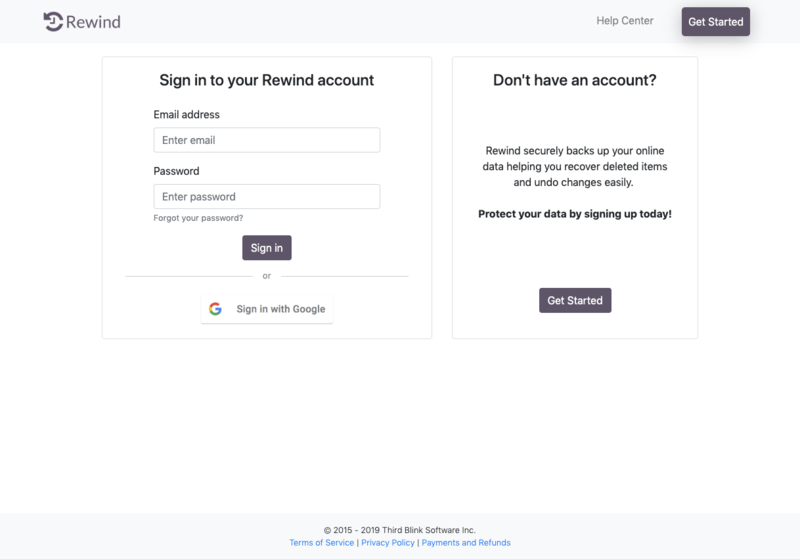 Welcome to Rewind for Mailchimp, and thank you for choosing Rewind to protect your account(s)! 2. 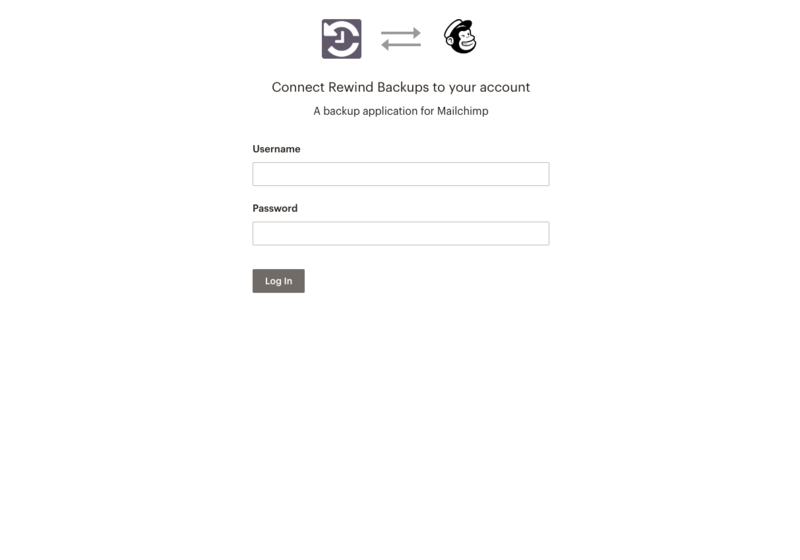 If you have not yet created your Rewind account, select "Get Started" from the upper right-hand side of the page. Otherwise, if you already have an account, sign in. 4. 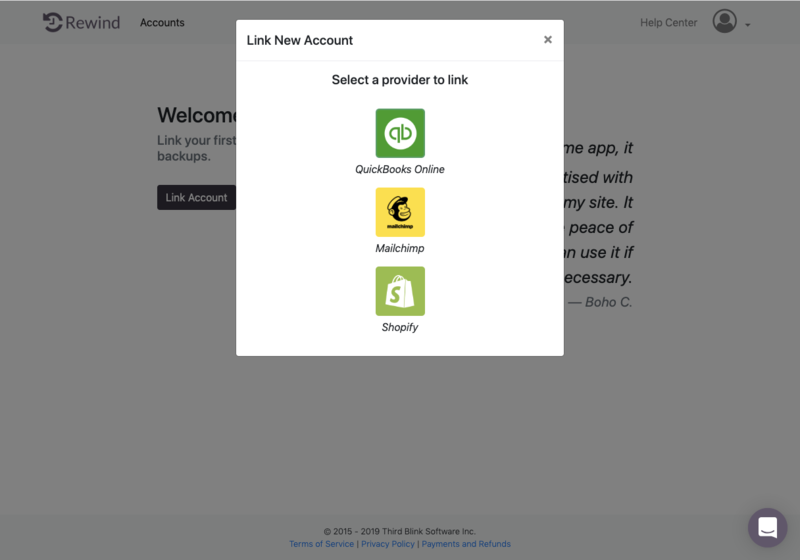 From the popup, click "Mailchimp". 5. 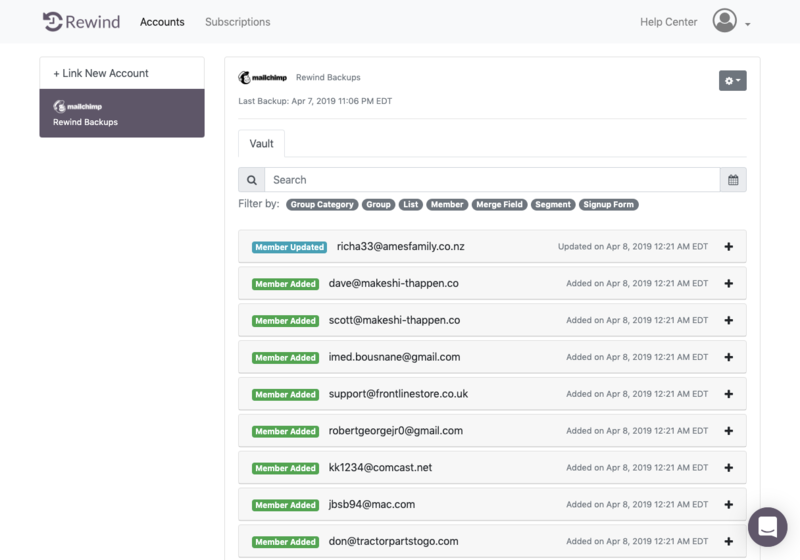 Sign into your Mailchimp account and complete the authorization. 6. 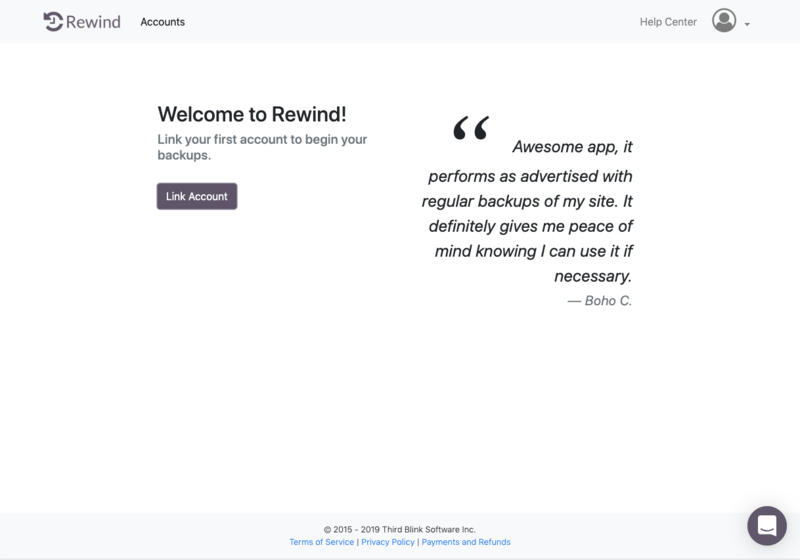 You will now gain access to your Rewind Vault for Mailchimp; from here, you can browse all of the items we have backed up, and you can perform a rewind, should you ever need to restore and revert your data. If you have additional accounts you would like to link to this Rewind account, simply click "Link New Account" from the left-hand side of the page, and repeat steps 4 & 5.